Need video? From moving images for your own website, to b-roll for clients, having a solid place to find quality stock videos is a must. Today, we’re going to help you “stock” your toolkit with ten places to find amazing, free stock video for a variety of projects. We are giving you basic information about using stock videos from each vendor; make sure to check specific license agreements before using any stock image or video. These can vary quite a bit, and it’s worth making sure that any video use is a good fit for your project license-wise! Today, we’re excited to share an exclusive freebie with you, in partnership with our friends at Vexels. 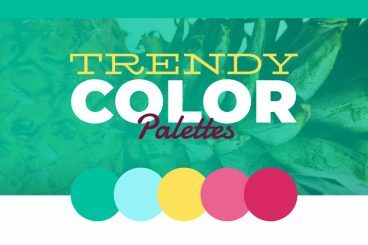 It’s a stylish infographic of trendy color palettes, to inspire your next project! Whether you’re looking a trendy and modern palette, a gradient tone, some pastel perfection, or golden autumnal gradients, it’s got you covered. Vintage design is all about presentation. You may have spent hours designing a vintage logo or a layout for your client, but in order to fully reap the rewards of your hard work, you’ll want to present it in a vintage mockup template. All of these examples help to showcase the design you’ve poured time and attention into. We’ve featured a huge collection of free and premium vintage mockup sets that match your design aesthetic, all with a classic, retro style! Creating complex edges manually in Photoshop can be an arduous task. Fortunately, there are tons of free brushes and images online that will make this process a breeze. Keep reading to see our collection of 20 brushes and images with torn, burned and grungy edges! 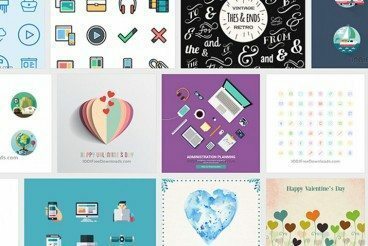 Today we’re featuring a collection of vector and design resources from 1001FreeDownloads. It’s a really handy place for finding new goodies to use in your projects — completely free of charge! They have thousands of good quality, free images of various types available (which you can use for commercial purposes). No registrations, no fees — you can just pick what you’re after, and download it. Simple! Read on to see a few of the different items we’re featuring today, and find out more about how the site works. The concept of “flat” design is fairly prevalent at the moment and, although you should never stick with a trend just because it’s the “in thing”, there’s certainly some merit to stripping back unnecessary design flourishes and focusing on the basics. Today we’re featuring seven freebie packs that can help to give you a useful starting point when designing something with a flat, minimal look and feel. 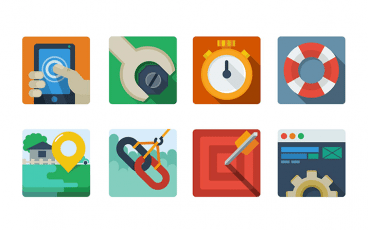 From icons to complete web templates, there’s plenty to get your teeth into! Many web developers are jumping into the sea of open source code projects. New plugins and frameworks are released almost every day. And when you are busy at work it can be tough keeping up with all the newest releases. 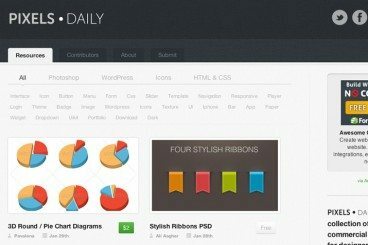 Loads of new freebies and open source codes are placed online every day. Web & mobile designers can learn a lot by studying newer interface trends and design layouts. Creative VIP is one such website which publishes freebies and premium content. This is an excellent resource for designers who want to dig a bit deeper into constructing usable layouts for the web. 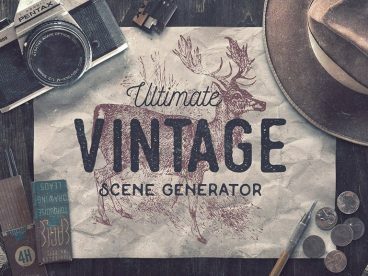 In this roundup I have put together 30 of the latest freebies from Creative VIP. You will find both PSDs and HTML/CSS codes mixed in with each other. Some resources actually offer both graphics and the code together! But no matter what items you’re looking for, this showcase is bound to have something cool. Did you know that Design Shack has a sister site called Creative VIP? 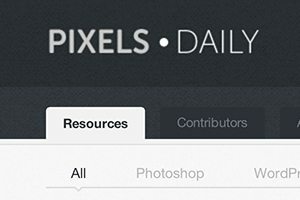 It’s one of the best sources around for design resources and it’s growing every day! No matter what type of PSD you’re looking for, Creative VIP likely has you covered. Today we’re going to jump in and take a look at 25 of my personal favorite files available. They’re too good to turn down! This week’s collection of freebies contains 25 incredibly useful form and field PSDs. 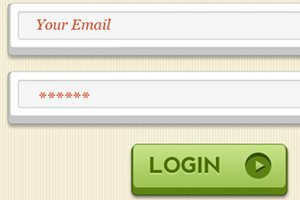 We’ve got everything from login and payment forms to gorgeous search fields. If you’re looking to add some UI goodness to your next project, don’t miss these downloads! 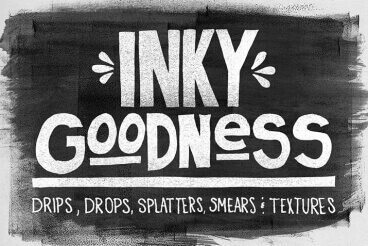 This week’s collection of freebies contains twelve awesome free fonts that double as icon sets. Icon fonts are perfect for serving up to the web via @font-face and make for an incredibly versatile way to add interesting but simple graphics to your site. Icon fonts can be pretty pricey but you can grab all of these without spending a cent! 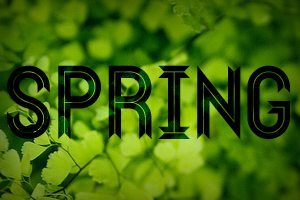 This week’s collection of freebies contains thirty-five textures that will have you aching for winter to pass and spring to begin. You’ll no doubt have some seasonal design projects coming up so be sure and grab a few of these in advance!